Last year when we were in Colorado I discovered The Incline. And immediately I said, "I want to do it!" because I'm insane or something. 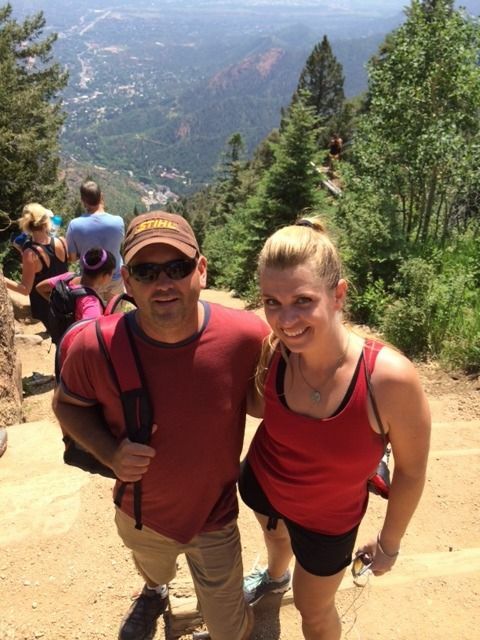 We didn't have time last year, so that was my one goal for this year - hike The Incline. 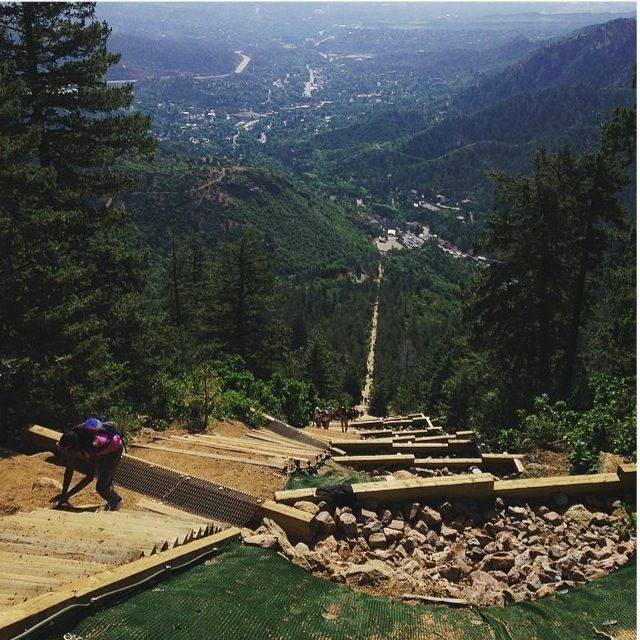 If you're not familiar with The Incline, it's a torture track. Kind of. No, really it is. It's awful. In the best kind of way. 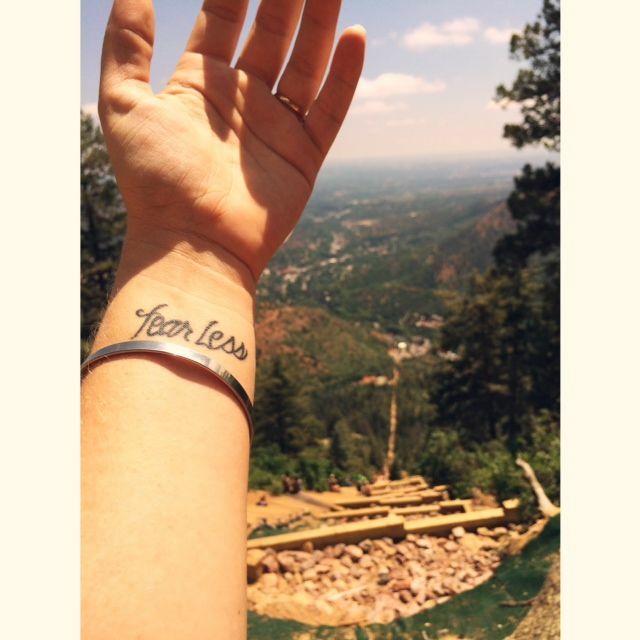 The Incline begins at about 6,500 feet in elevation and climbs to around 8,500 feet in less than a mile. Two thousand feet in one mile! That's an average grade of around 40 percent with stretches that hit more than 60 percent. It's like racing up the stairs of the Empire State Building. Twice. It's railroad ties, unevenly spaced, so sometimes you have to your your hands to help you climb. And there's re-bar sticking up in certain places so there's a chance of impalement, which is always fun. Olympic athletes train there. Military Special Forces train there. And average crazy people like me train there. Apparently. I'm a weenie. And I'll admit that I was scared. It's a beast. Intimidating. And even though I'd done as much research as I could, it's one of those things that you just can't fully prepare for. I didn't really know what to expect until I was in the middle of it, sort of like childbirth. I wasn't concerned at all about my time. Just completion. That was my only goal. And I made it! It wasn't pretty. It wasn't fast. But I made it. Once you make it to the top, you have about a 4-5 mile hike back down a different part of the mountain. That was actually the roughest part for me. I thought the trail down was NEVER going to end. It's beautiful, but slick and gravely. I saw several people fall. And then I fell. 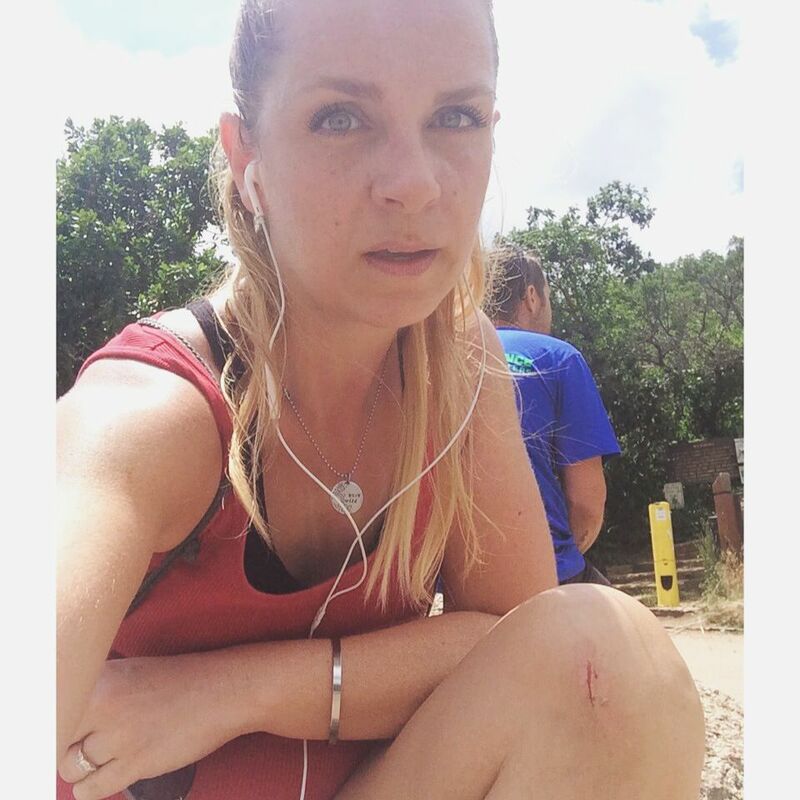 I wiped out, got banged up a bit, and had a few battle wounds to show for it. 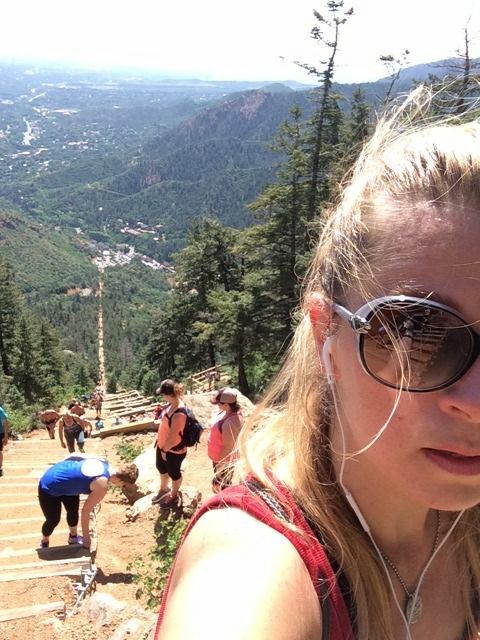 If you're in Colorado Springs and want a fun challenge, do The Incline! It's brutal, but so rewarding!